I was going to defer posting this article to a later date until Marion Jacobs in Laguna Beach shot me an email wondering what were all of the little moth sized butterflies visiting the Lantana bushes up at Alta Laguna Park, so it is fitting to present this article now. 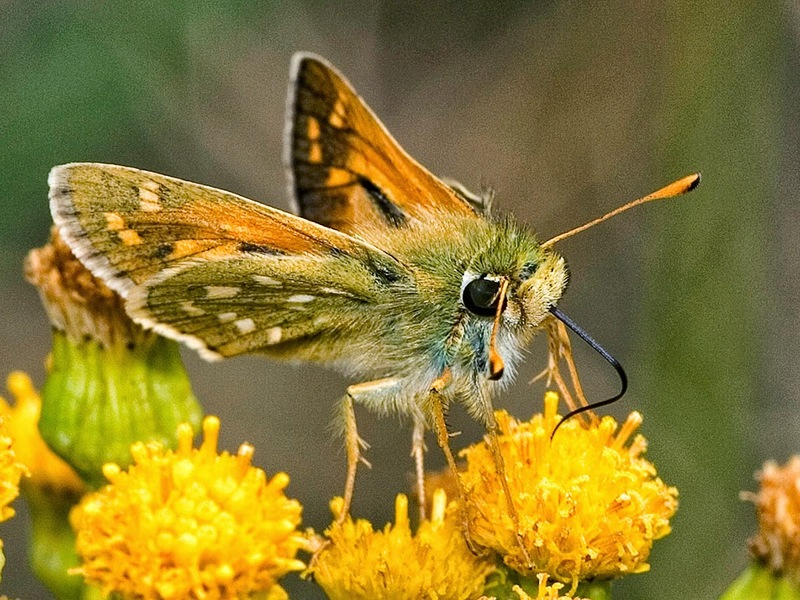 There are numerous species of little skipper butterflies that call Southern California home. Normally colored in orange and brownish hues, these diminutive creatures can be easily identified when perched on a flower by the unique "delta-winged fighter jet" wing posture they assume when at rest. 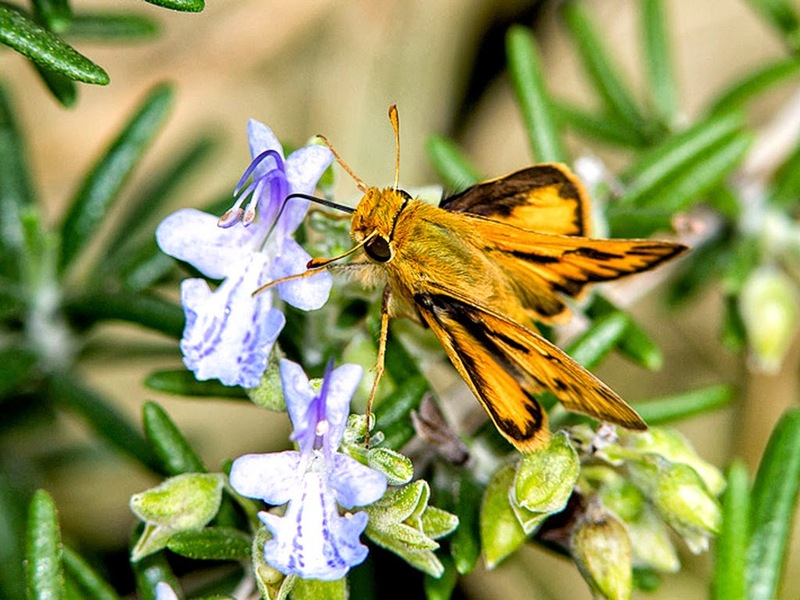 The Fiery Skipper is one of the more common skipper species along our coastal and intercoastal zones. There were a multitude of skippers, both Fiery and others, bouncing about the Lantana camara bushes planted between the Alta Laguna Park tennis courts in Laguna Beach, California, in search of nectar. Skippers are especially attracted to lantana blooms. Lantana camara makes for a good potted specimen in an adequately sized container; a 16-18 inch pot is sufficient. This one is also fairly common in So Cal. The Common Branded Skipper makes its home in England and the Continent too. Known as the Silver-spotted Skipper in the U.K. The duskywings stray from the more popular skippers in their wing positions during rest. They tend to lay their wings flat versus the fighter jet stance of others. 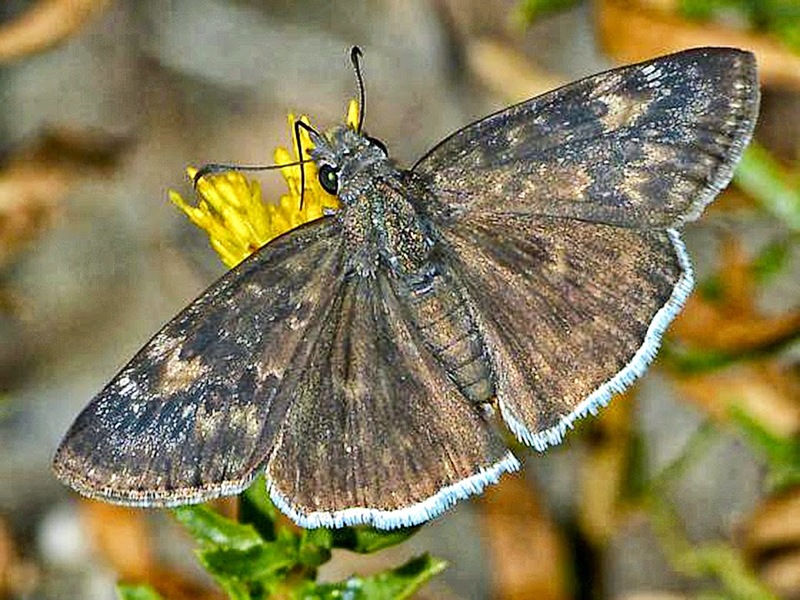 The Funereal Duskywing can be found as far down south as Argentina. 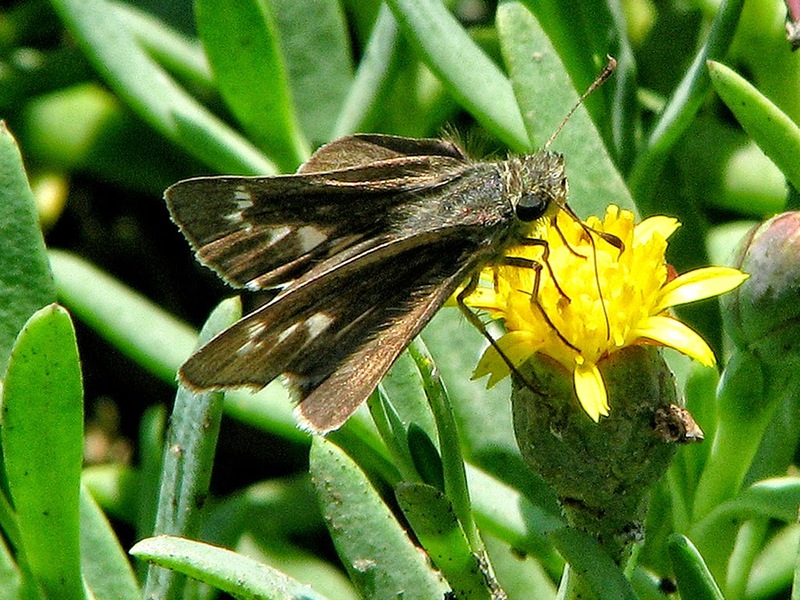 Skippers host on various grass species, both native and introduced. Their numbers usually aren't sufficient enough to be considered lawn pests, whereas the duskywings host on various legumes. Locally, the duskywing host plant is our native species of Deerweed, Lotus scoparius var. scoparius. 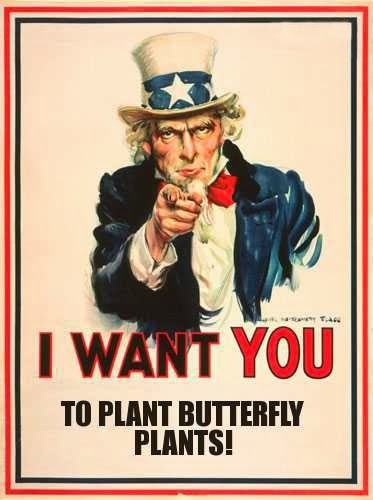 Remember: if one wishes to attract these cute little butterflies (and many other species too!) to one's gardens, by all means plant Lantana camara. My opinion is that Lantana is one of the top three plants one should introduce to a yard for attracting butterflies of all sorts, being rather indiscriminate in this highly desirable quality.